It's been a hectic month here at Air & Grace HQ! 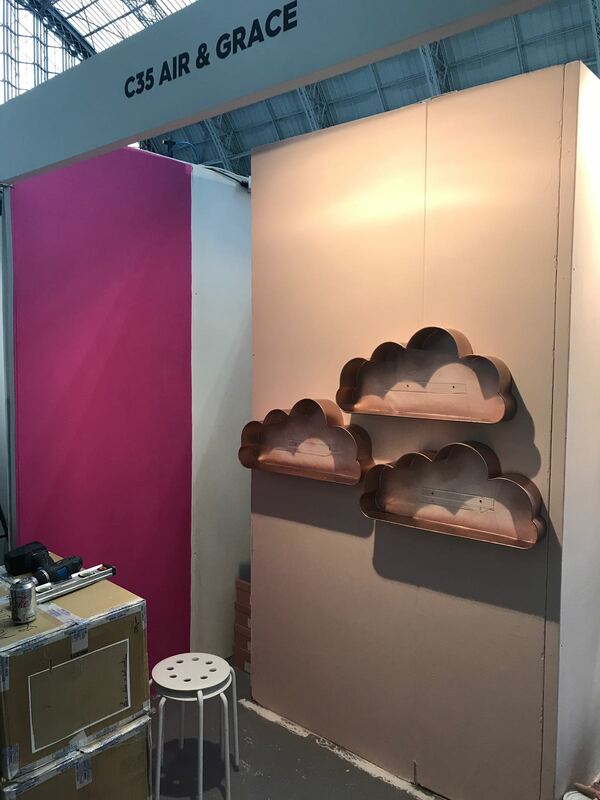 From spray painting our stall design, to packing up stock, we've been running around getting prepared for Stylist Live 2018. 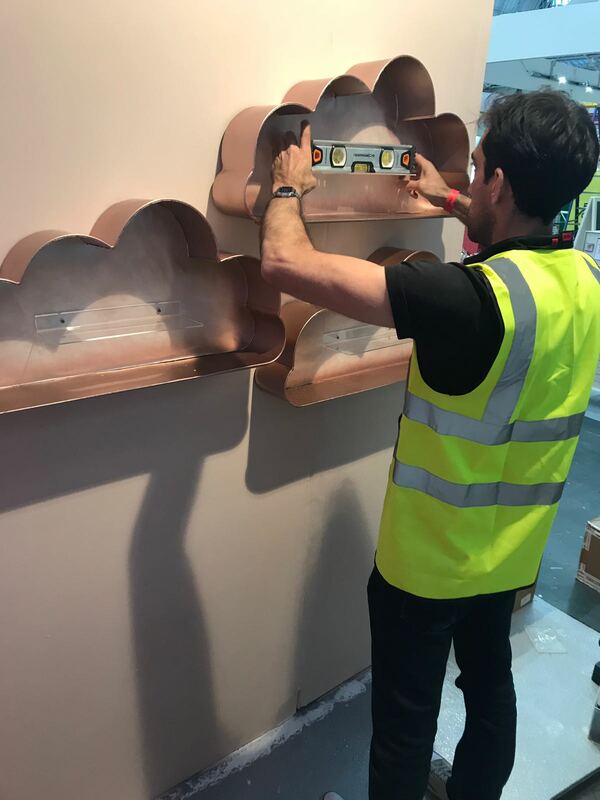 Despite a few hiccups in the week running up to the event (namely painting one of our stall walls the wrong colour!) we had a blooming GREAT weekend. 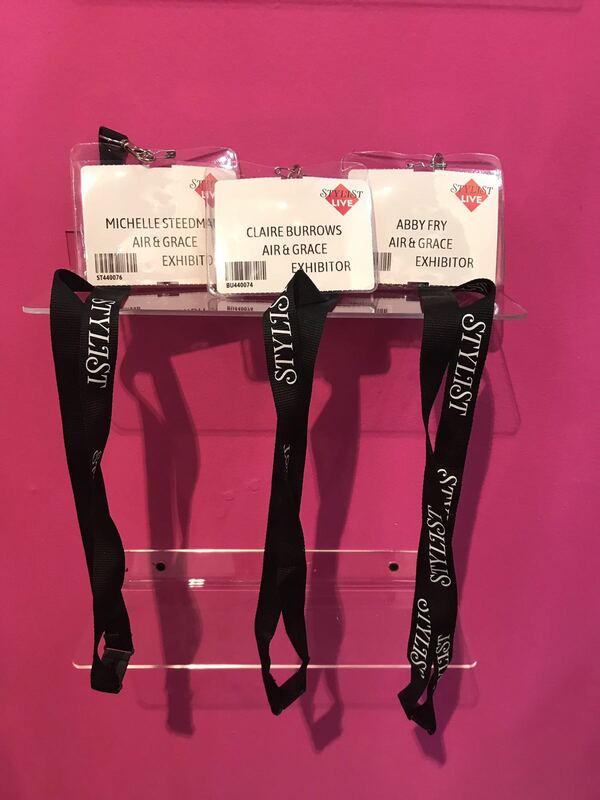 The week leading up to Stylist Live was a rush of exciting preparations, planning and packing! Finally, it was STYLING time! 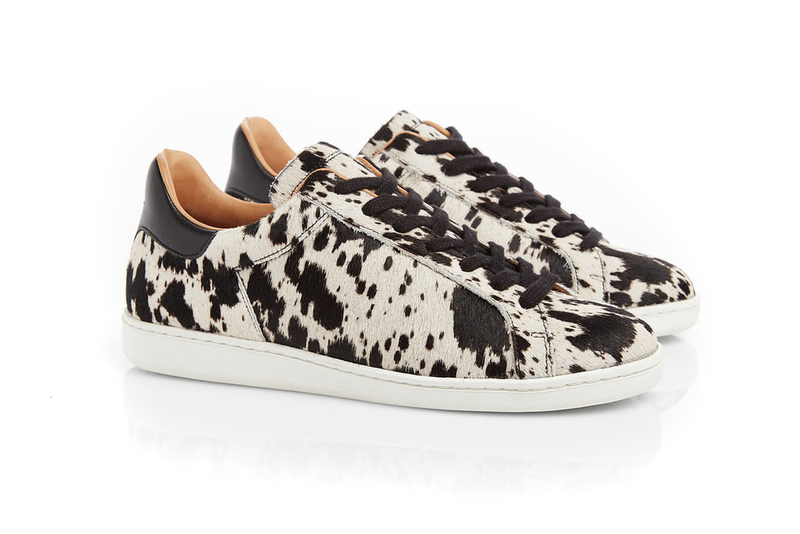 Which pairs go where? 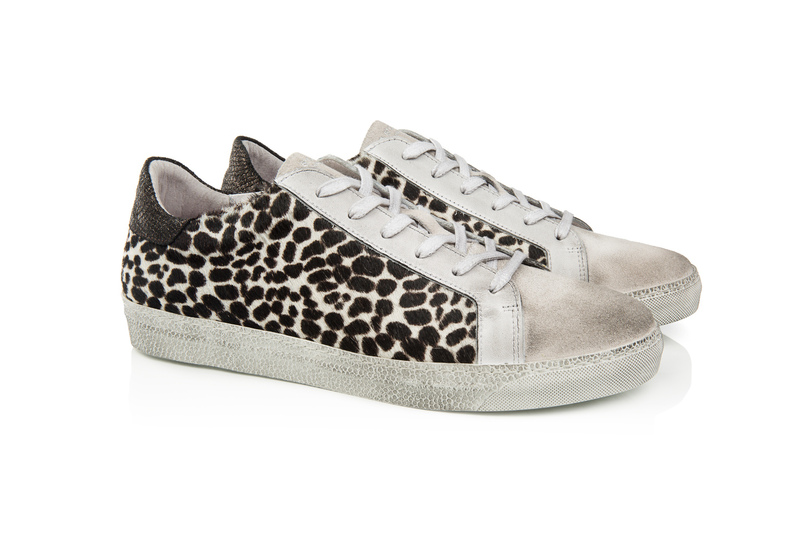 How can we be extra eye-catching for those who didn't know about Air & Grace? 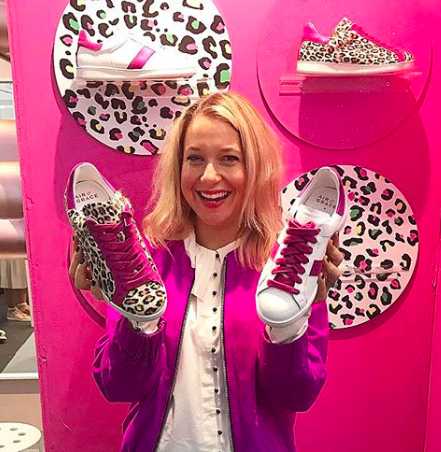 We think our hot pink @dresslikeamum collaboration wall helped a bit. 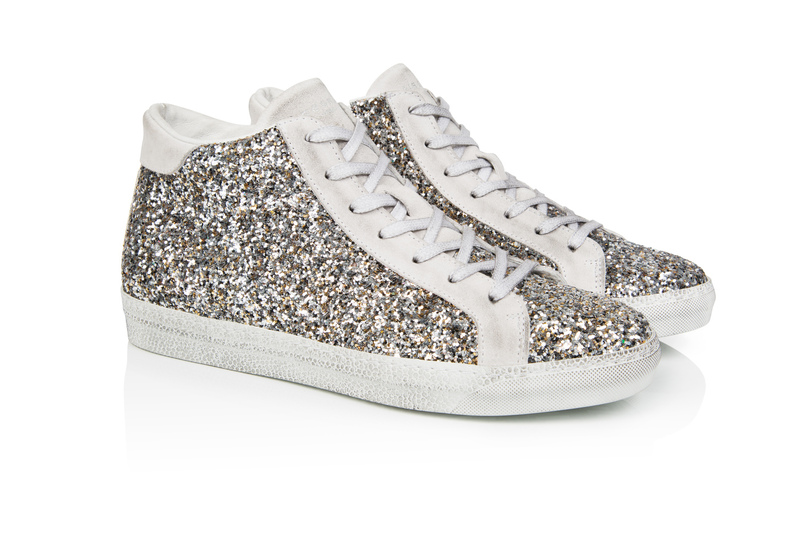 Did we mention we ran a special re-release of the sold-out Carnivale Rainbow Trainers especially for Stylist!? 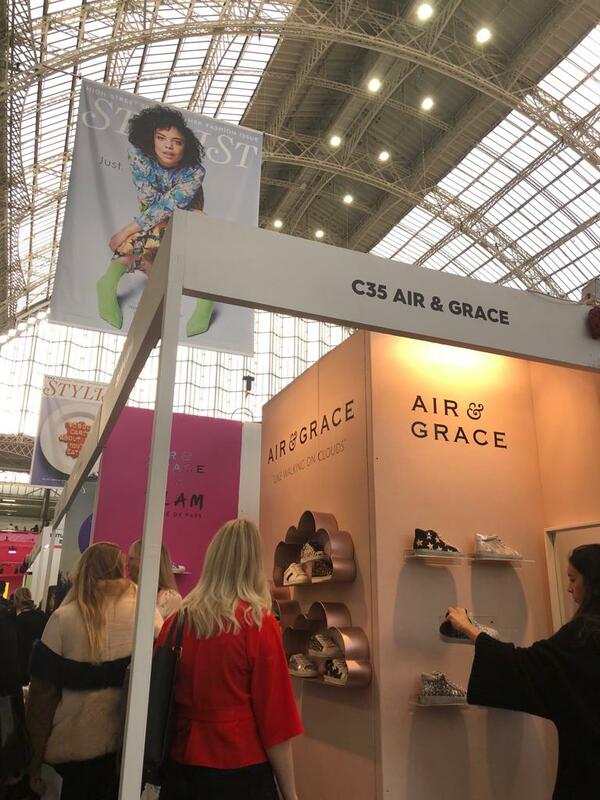 Stylist Live holds a place close to Air & Grace's heart. 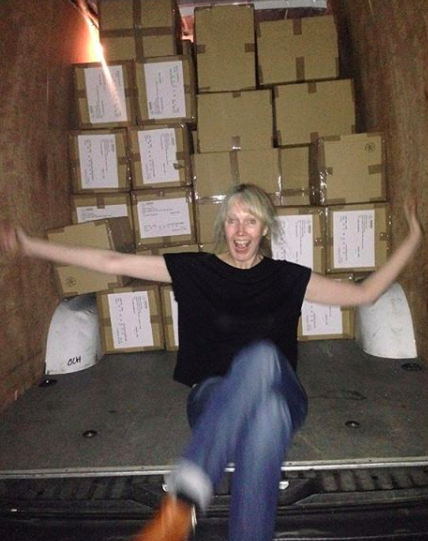 4 years ago our founder Claire & Mr. Grace drove a van full of shoes from Portugal to London Olympia, the same venue as Stylist! 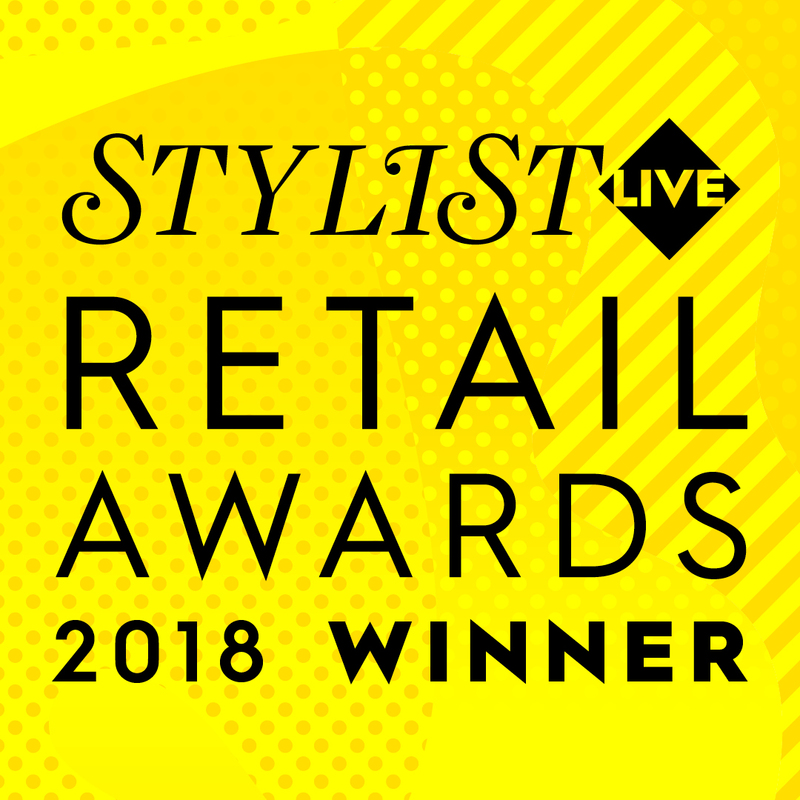 Since then, we've launched collaborations, met so many of our wonderful customers, and this year we even won an award! 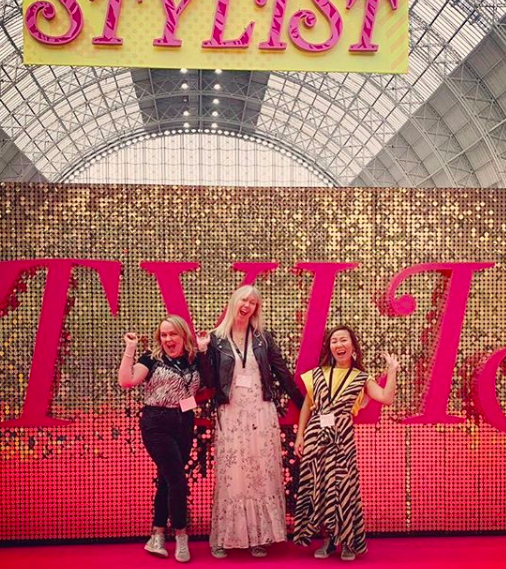 @dresslikeamum at Stylist Live 2017, launching our collaboration. 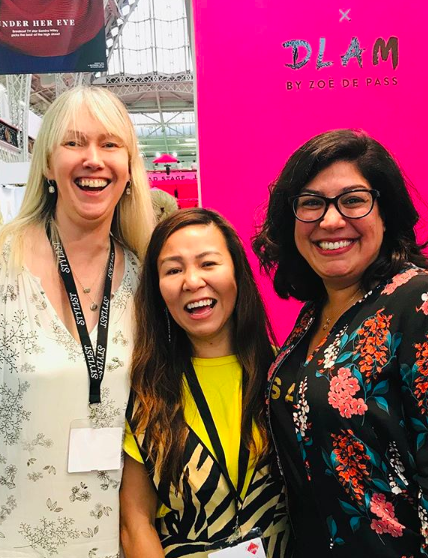 Claire & Michelle with one of our lovely customers, Margarita! 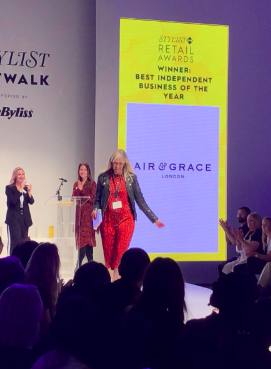 On the anniversary of our 4th birthday, at the end of our second day at the show, Air & Grace won the “Best Independent Business of the Year” award at the Stylist Live Retail Awards 2018! 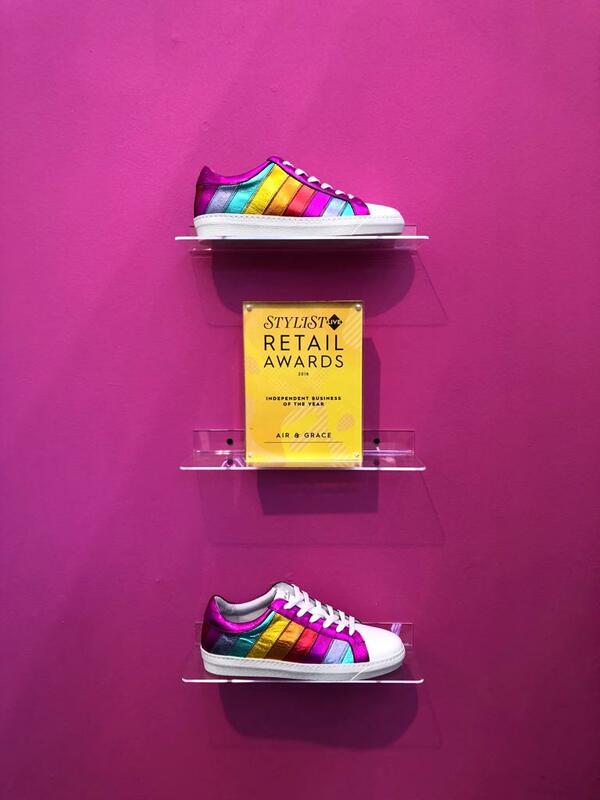 Our beautiful award with our special re-release of the Carnivale Rainbow Trainers! "I could not be more shocked, happy & emotional. A HUGE THANK YOU to each & every one of you for supporting Air & Grace. We have an amazing customer base & I’m incredibly lucky to have your support. I count myself lucky every day to have Team A&G - without these superwomen it would never happen. 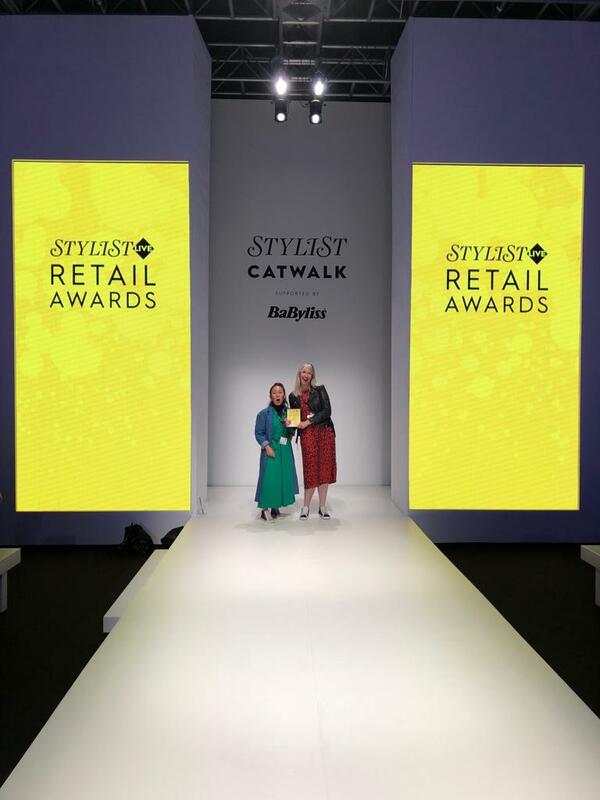 Of course, my brilliant mum, the best inspiration a girl can ever have.Thank you to Stylist Live for helping make dreams come true!" 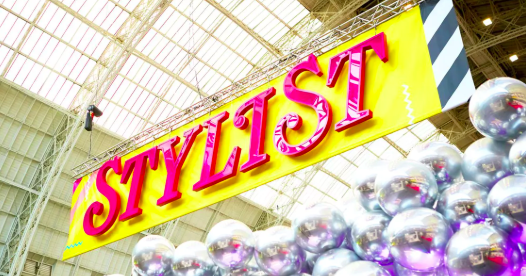 Shop the most popular styles from our weekend at Stylist Live! Are you all about Alto? A Copeland convert? Or are you part of the Cru? Have you caught up with our latest posts? REPOST ROUNDUP | October: Did your snap make it to our repost roundup?